In South-Western Africa lies a land of compelling fascination, a land for those who worship at the shrine of Africa at its most resplendent, but also at its most unconventional. This is Namibia. 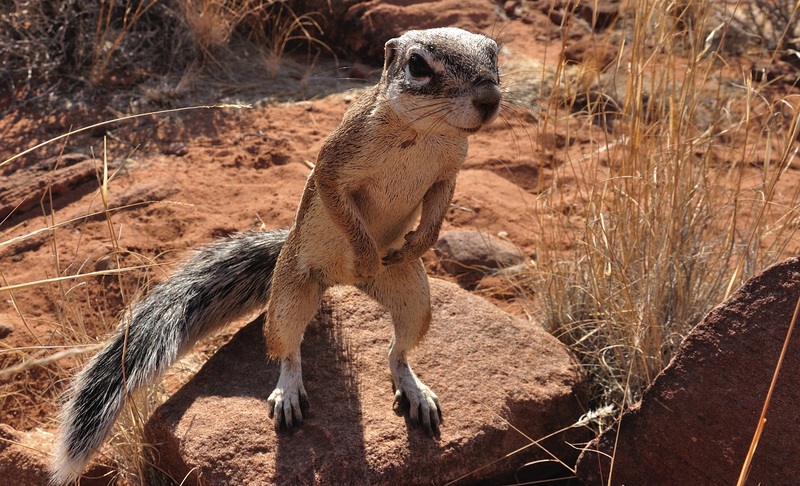 Described by the bushman as the “Soul of the World”, Namibia is rugged, natural, soulful and liberating. 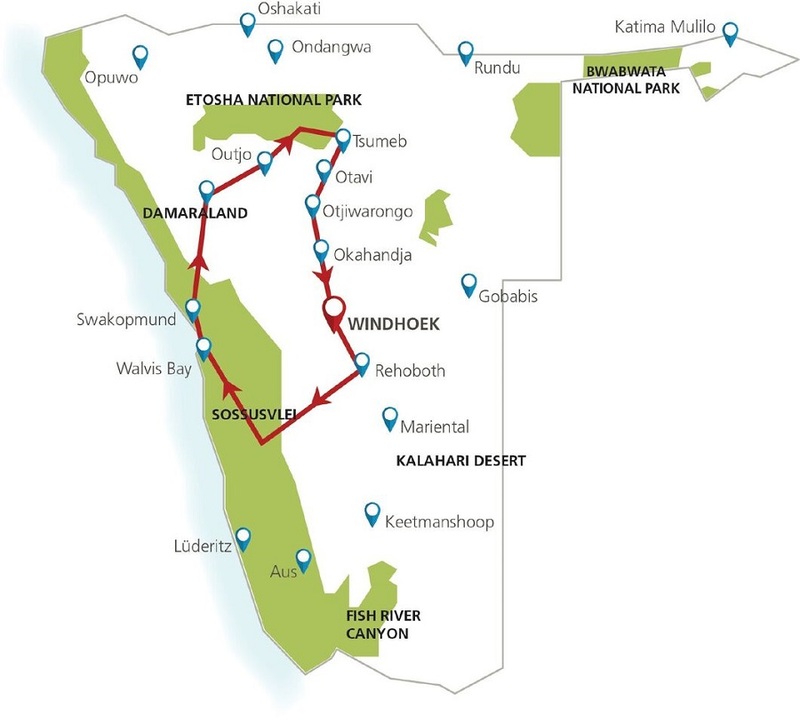 On this 9 day Escorted Tour, you will discover the wonders of the Namib Desert, Sossusvlei Sand Dunes, Swakopmund’s Town and Etosha National Park. Enter the home to the 4 of the Big 5 – Elephant, Lion, Rhino & Leopards and find yourself in the best possible view of these beautiful creatures. 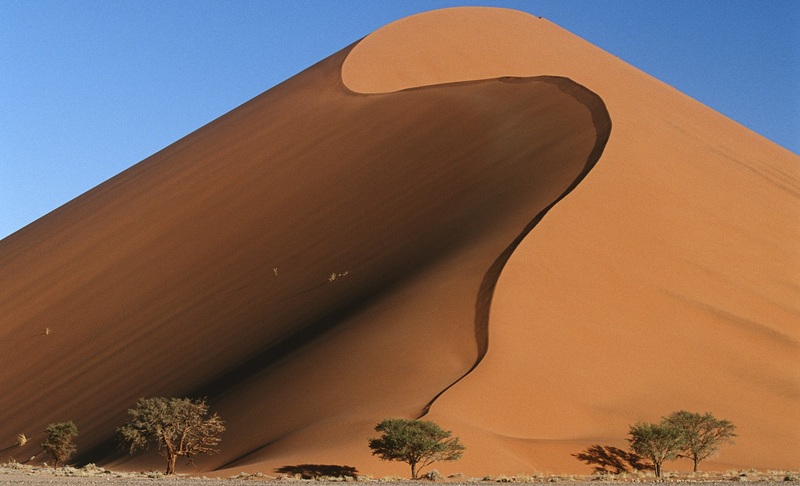 The Namib is the world’s oldest desert, and although it stretches along the entire length of Namibia’s coastline, the Namib commonly refers to the vast sea of sand from Luderitz to Swakopmund. 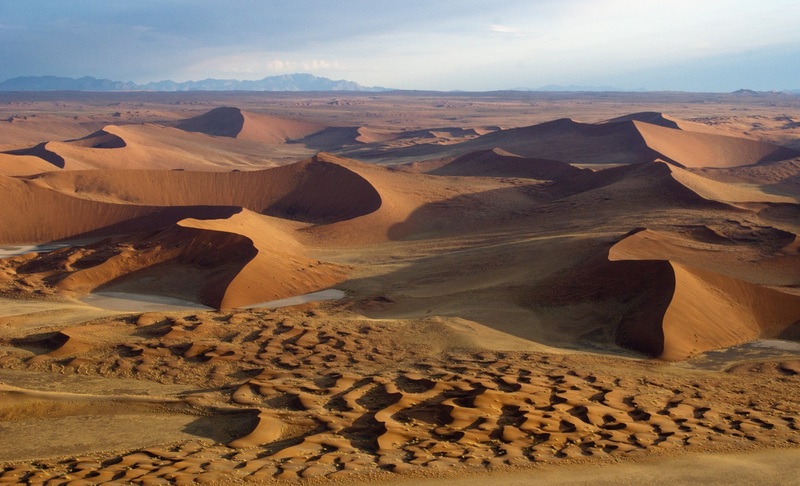 For a big sandy desert the scenery is remarkably varied, with the giant red dunes of Sossusvlei being the most famous part. Because of how old it is the Namib is home to numerous species that don’t occur elsewhere and although no humans live in the desert an amazing array of flora and fauna manages to survive here. After breakfast we travel via the desolate, rolling hills of the Kuiseb Moon Valley towards the Atlantic Ocean. Reaching the coastal harbour town of Walvis Bay, we visit the shallow lagoon, one of the most important wetland areas on the African continent and a RAMSAR World Heritage Site. Over 80% of the African flamingos feed in this lagoon and present a breath-taking picture when they appear in groups. Continuing along scenic dune belts and the Atlantic Ocean we reach Swakopmund, where the rest of the day is spent at leisure. With palm-lined streets and seaside promenades, Swakopmund is a very popular holiday destination in Namibia. Its pleasant summer climate and long stretched beaches attract anglers and surfers from all over Southern Africa. For the international guest, Swakopmund is a bohemian mix of German architecture and African time, a laid back attitude with adrenalin activities, misty mornings and desert heat. It is colourful, it is vibrant, but most of all, it is fun. Swakopmund is often fondly referred to as the “playground of Namibia”, it has numerous activities ranging from, adventure to exploring the fascinating features of the Namib Desert and the animals and plants that occur and survive here. Embrace the relaxed pace of this idyllic coastal town whilst enjoying coffee and freshly baked pastries in one of the many café’s. Alternatively explore the rugged, sweltering desert on a day tour, or view this awesome, environment from the air on a scenic flight. Find your inner child and push adrenaline to its limits with extreme adventures such as skydiving over the desert or quad biking and sand boarding on the dunes. 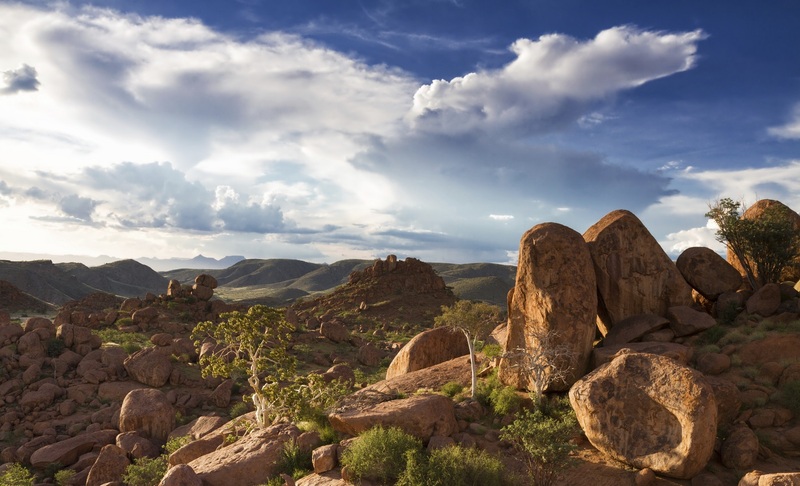 Heading further north, we travel via the Brandberg, Namibia’s highest mountain (2579m), into the Damaraland, one of the least populated and geologically diverse areas in Africa. This harsh, rocky environment is home to the rare desert elephant, the black rhino and free-roaming antelope species. We visit to Twyfelfontein, a heritage site where Bushman communities engraved and painted over 2500 pictures some 6000 years ago! Close by we explore the Burnt Mountain, Organ Pipes and the Petrified Forest - all geological phenomena’s depicting the creation and evolution of some of the oldest landmasses on Earth. 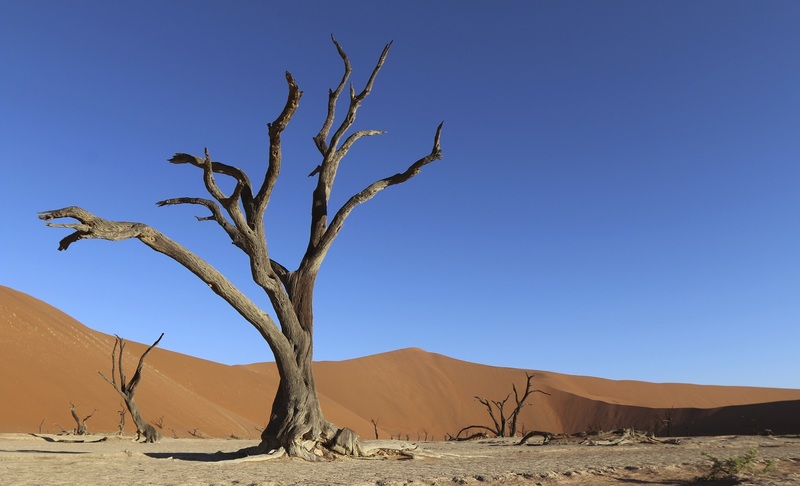 Here we also visit the Welwitschia mirabilis plant – the oldest living desert plant on Earth. After a visit to a traditional Damara village we proceed on to our lodge, situated on the edge of the Damaraland. After a tranquil breakfast, we travel towards the Etosha National Park, famous for its vast amount of wildlife and unique landscape. Once we have reached our camp located just outside of the National Park, we head onto our first safari into the National Park. Together with our guide we explore the various waterholes located close to Okaukuejo and the Andersson gate. 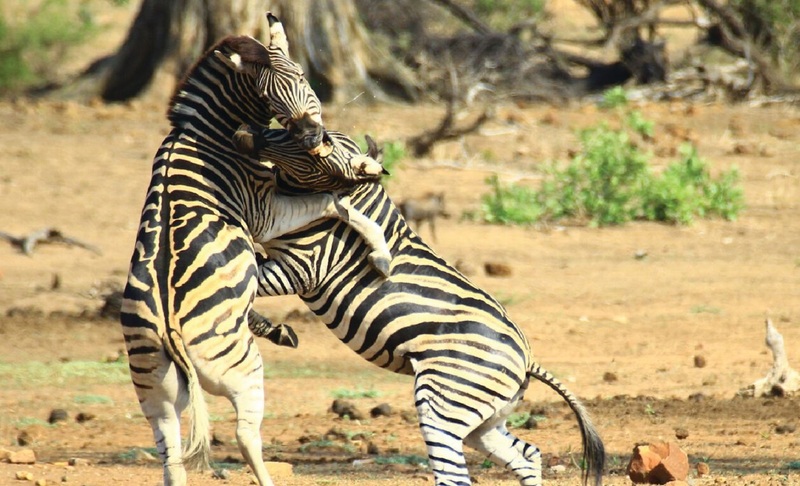 The day is devoted purely to the abundant wildlife found in the Etosha National Park, which surrounds a parched salt desert known as the Etosha Pan. The park is home to 4 of the Big Five - elephant, lion, leopard and rhino. The Park was proclaimed as Namibia’s first conservation area in 1907 by the then Governor, von Lindequist. 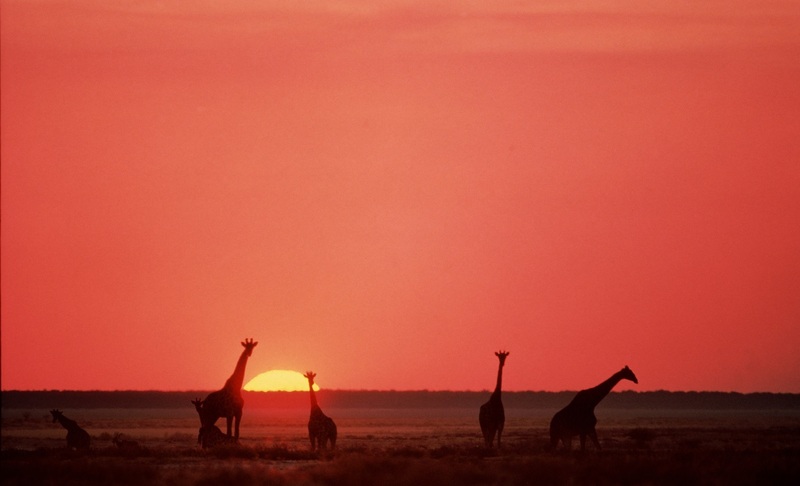 Despite the size of the Etosha National Park, only the southern edge of the pan is accessible to visitors. Game viewing in the park is largely focussed around the waterholes, some of which are spring fed and some supplied from a borehole, ideal places to sit and watch over 114 different game species, or for an avid birder, in excess of 340 bird species. 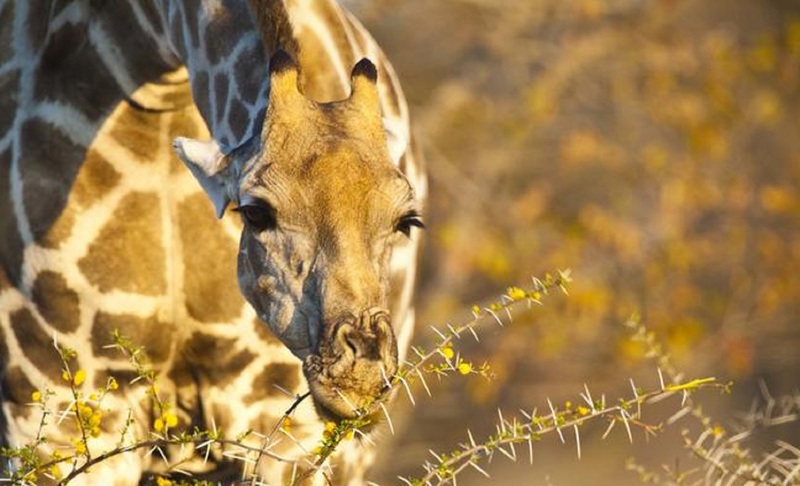 Popular game species such as giraffe, blue wildebeest, plains and mountain zebra, hyena, lion, leopard, antelopes such as kudu, oryx, eland, as well as some of the endangered species such as Black rhino, cheetah and the black-faced impala are all found here. An extensive network of roads link the over 30 water holes allowing the visitor an opportunity to do a real game viewing safari over the stretch of the park as each different area will provide different encounters. 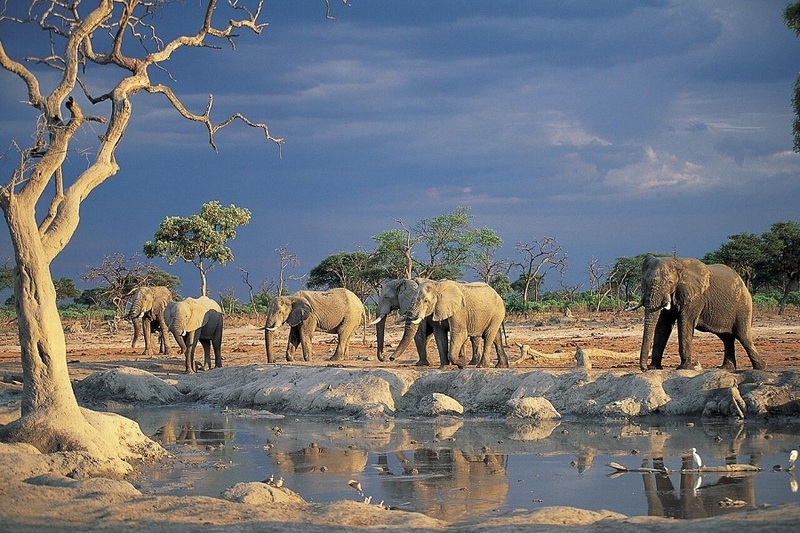 Today your guide again takes you on a game drive in the Etosha National Park. We may encounter animal species we have not seen the previous day and look forward to any new surprises at the different waterholes visited. The Etosha Pan dominates the park. This salt pan desert, which is nearly completely enclosed by the park and is lined by numerous watering holes, is roughly 130 km long and as wide as 50 km in places. During Etosha’s notorious dry spells the pan is a deathly place, lying parched and cracked under the molten African sun. It is claimed that game viewing is best during the dry spells as animals will then congregate closer to water. But even in the rainy season the park remains an abundant wildlife haven. You then have the pleasure of experiencing the rebirth of life as the young foals, cubs and chicks are seen frolicking with their parents and the sprouting new green shrubs and grasses create a pleasing green oasis. In the afternoon we travel back to our lodge, where we enjoy the rest of the evening at leisure. After breakfast, we continue southwards to Windhoek, where we visit the Old Brewery Craft Market and the Diamond Works Market in the main street of the capital city. After, we are dropped off at our hotel or at the international airport for our return flight. The Standard package operates with a minimum of 2 passengers and a maximum of 20 passengers. Hotel upgrade options are available on request. Please note the first and last day of this tour are full travel days. Your flight on the first day of the tour should arrive no later than 9am and your departure flight out of Windhoek International on the last day of the tour should depart after 7pm. Pre and post tour accommodation is recommended. ^ The following departures operate with English Guide(s) only: 10 Apr 19, 11 Sep 19 & 9 Oct 19.